Available by special order. Particularly popular in 50 weight neutral colours for piecing. The most popular size of spool. A favourite size for hand appliqué. 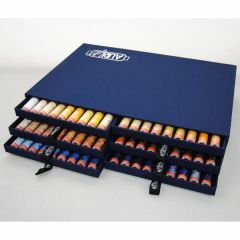 A suitcase containing 252 colours is available in any of the 4 weights by special order.